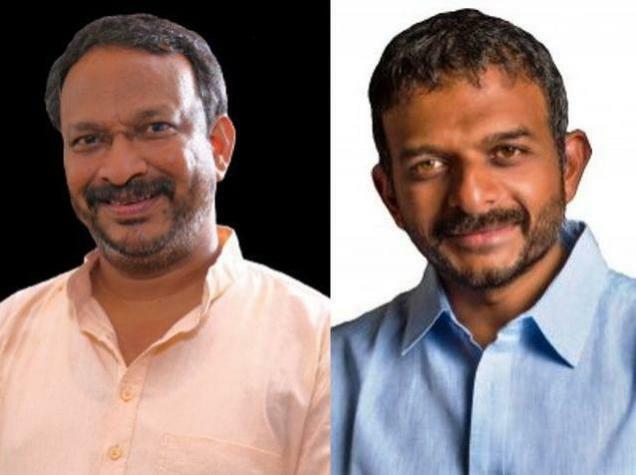 Two Indians -- Carnatic singer T M Krishna and prolific campaigner for eradication of manual scavenging Bezwada Wilson -- were among six persons who were awarded the prestigious Ramon Magsaysay prize for 2016. Wilson, 50, the national convenor of the Safai Karmachari Andolan (SKA), was awarded for "asserting the inalienable right to a life of human dignity" while 40-year-old Krishna was conferred the award under the 'Emergent Leadership' category for bringing "social inclusiveness in culture". Four others who received the award are - Conchita Carpio- Morales of the Philippines, Dompet Dhuafa of Indonesia, Japan Overseas Cooperation Volunteers and 'Vientiane Rescue' of Laos. The Manila-based award, named after a Filipino president killed in an aircraft crash, was set up in 1957 to honour people and groups tackling development problems. This award is considered as Asia's Nobel Prize. Winners received a certificate, a medallion and a cash prize. Krishna has been hailed in the citation as "showing that music can indeed be a deeply transformative force in personal lives and society itself." Born to a privileged Brahmin family in Chennai, he was trained from the age of six in the aristocratic Carnatic music under masters of the form. "In electing Thodur Madabusi Krishna to receive the 2016 Ramon Magsaysay Award for Emergent Leadership, the board of trustees recognises his forceful commitment as artist and advocate to art's power to heal India's deep social divisions, breaking barriers of caste and class to unleash what music has to offer not just for some but for all," the citation said. Wilson, who was born to a Dalit family, said no human being should be subjected to the inhuman practice of manual scavenging. "Manual scavenging is blight on humanity in India. Consigned by structural inequality to the dalits, India's 'untouchables', manual scavenging is the work of removing by hand human excrement from dry latrines and carrying on the head the baskets of excrement to designated disposal sites," states Wilson's citation. "Treated as an outcast in school and acutely aware of his family's lot, Bezwada was filled with great anger; but he would later channel this anger to a crusade to eradicate manual scavenging," the citation said. Wilson has spent 32 years on his "crusade, leading not only with a sense of moral outrage but also with remarkable skills in mass organising, and working within India's complex legal system." "In electing Bezwada Wilson to receive the 2016 Ramon Magsaysay Award, the board of trustees recognises his moral energy and prodigious skill in leading a grassroots movement to eradicate the degrading servitude of manual scavenging in India, reclaiming for the dalits the human dignity that is their natural birthright," the citation said.